You can guarantee it will rain on the school run, it can be completely dry all day and then a rain shower right on the school run! Friday morning I got drenched, my umbrella which was windproof kept blowing inside out and I nearly took out a poor Mum and child with it! So when Susino got in touch with me and asked if we wanted to receive an umbrella to keep us dry on the school run I wasn’t going to say no! 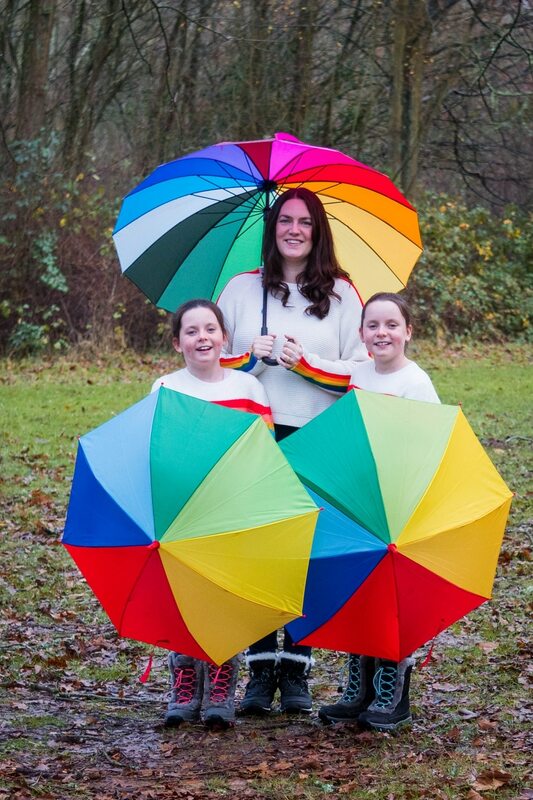 I have always loved the rainbow umbrellas, they’re so bright and colourful. When the rain makes the day so miserable what better way to cheer it up with a bright coloured umbrella! Susino prides themselves on being one of the largest UK umbrella companies to design accessories for both wholesale and retail platforms. 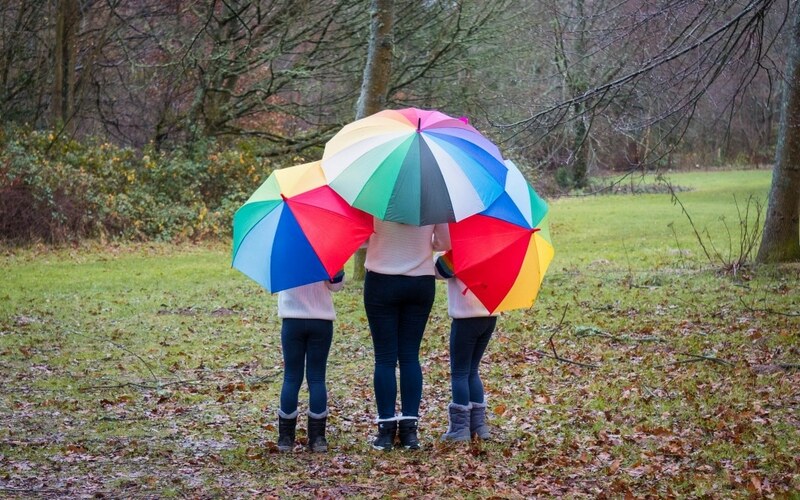 They offer such a big range of umbrellas in size and colour, there is something for everyone. 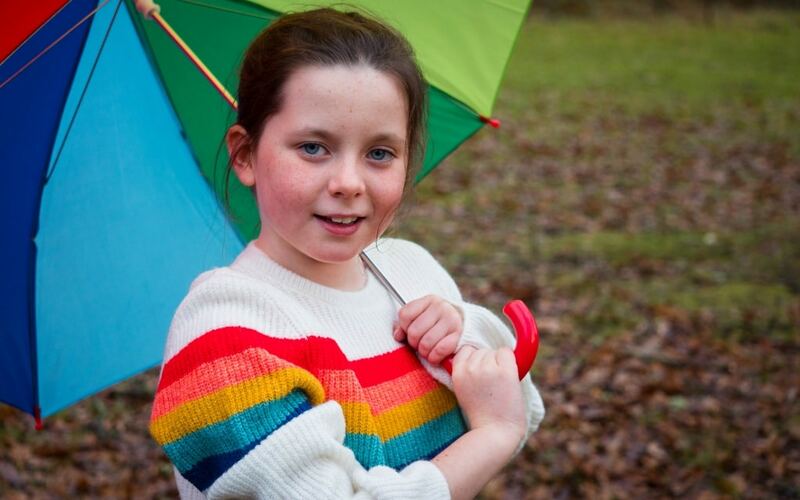 We walk to and from school together each day, rain or no rain so having an umbrella that covers us well is important. As you can see it covers me well but doesn’t feel like I am carrying a massive umbrella! With a hook handle, it’s easy to keep hold of and carry along when it’s not raining. These are lightweight, large enough to cover their school bags, and easy enough for them to carry. The girls LOVE them and now can’t wait until it rains again!!! They fold up nicely too with a little velcro strap which the girls did themselves. Enter below to be in with a chance of winning a voucher to spend at Susino so you can pick a perfect umbrella of your choice. I would love to know which umbrella would be your favourite from Susino, so leave a blog comment below and let me know. *We were sent the umbrellas for the purpose of this review. However all words are honest and of my own. I am absolutely LOVING those umbrellas so sad I missed your comp! 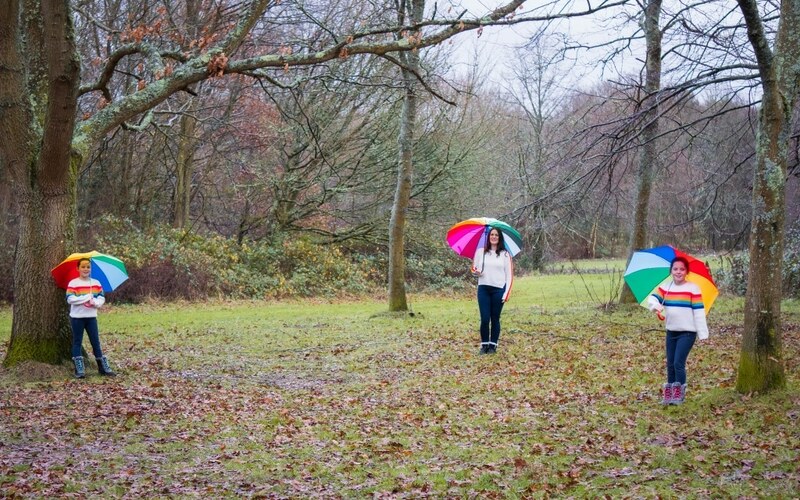 I adore the fox print mini compact umbrella – adorable! I love the WATERCOLOUR FLORAL LADIES AUTOMATIC COMPACT UMBRELLA (31711). It is so pretty. I love the scottie dog dome! I love the Full Iridescent Dome umbrella. l love the WATERCOLOUR FLORAL LADIES AUTOMATIC COMPACT UMBRELLA its so pretty! I love the Milky Way Solar System Umbrella it is fabulous! i love the fox print mini compact – perfect for my work bag! Love the FRENCH BULLDOG CLEAR SEE THROUGH DOME UMBRELLA. Th e Milky Way solar system. I particularly like the windproof Blue Botanic umbrella – it has beautiful birds and flowers on it and is practical by being windproof – perfect. I love the scottie dog design. 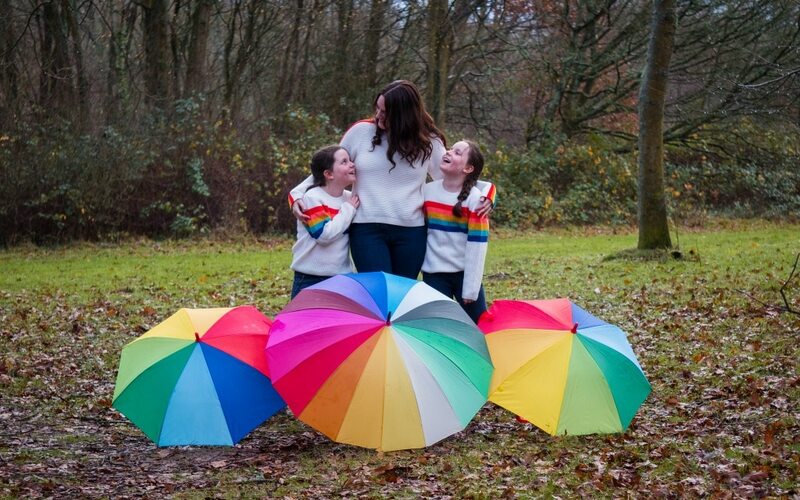 I love the rainbow umbrella, rainbows always seemed magical to me. I love the Scotty Dog design! My favourite is the Neptune Solar System Umbrella. Thanks for the competition. I like the Unisex Bright & Colourful Red Walking Umbrella (31712). A stunning Red colour. Meant to be seen! The cat print one is my favourite. 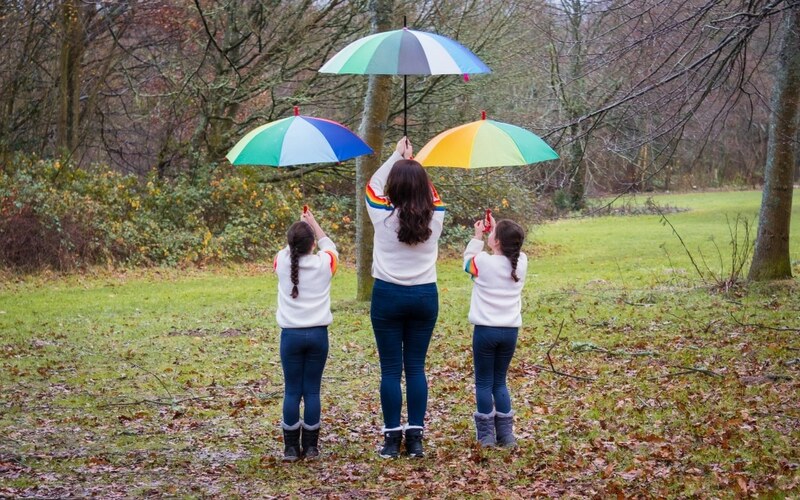 I love the rainbow umbrella my daughter has always wanted one. Colourful spottie dog is definitely my favourite brolly! These are fab! I really like the full iridescent dome umbrella. 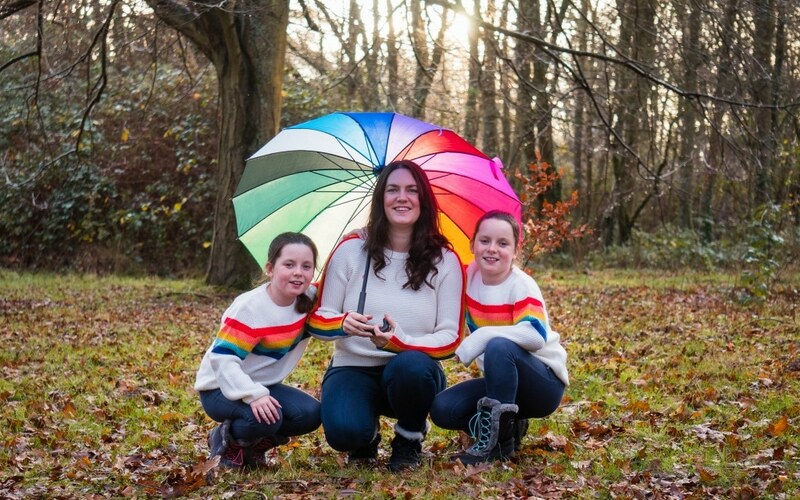 If I was lucky enough to win, I would have to buy the Wind Resistant Pink Colour Trim Automatic Compact Umbrella, but my favourite is the Full Iridescent Dome. 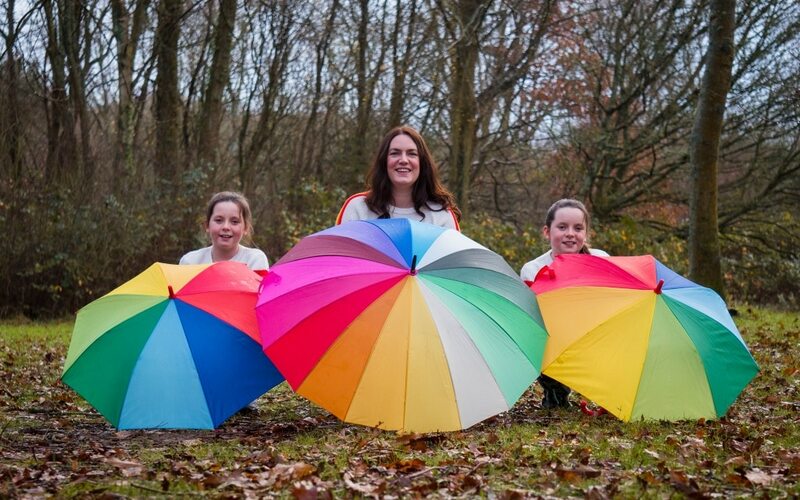 I like the rainbow umbrella the best too.. why have one colour when you can have them all!! I also live the rainbow umbrella. It’s classic and would brighten up the soggiest of days. The Wind Resistant Blue Botanic Floral Ladies Automatic Compact Umbrella (31501) is my favourite. 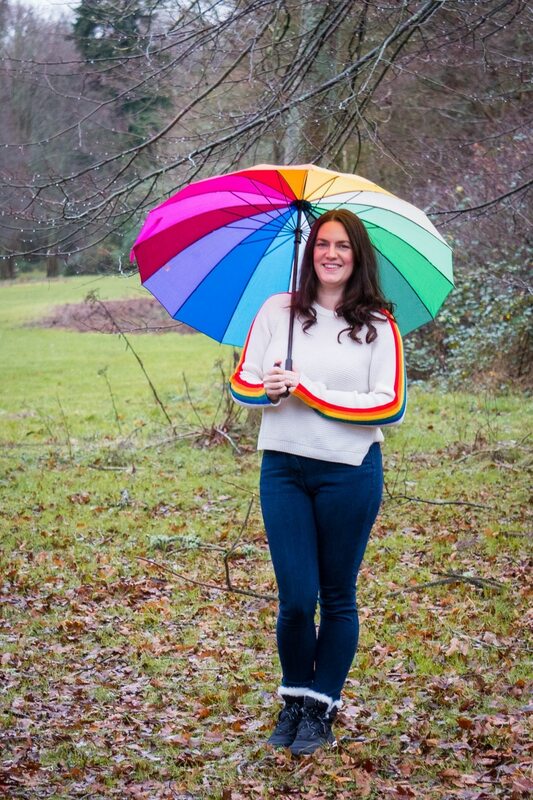 I have ALWAYS wanted a huge rainbow umbrella, but it never reaches the top of the list of things I have to buy (thank bills) – so I want the exact same one you are modelling!! 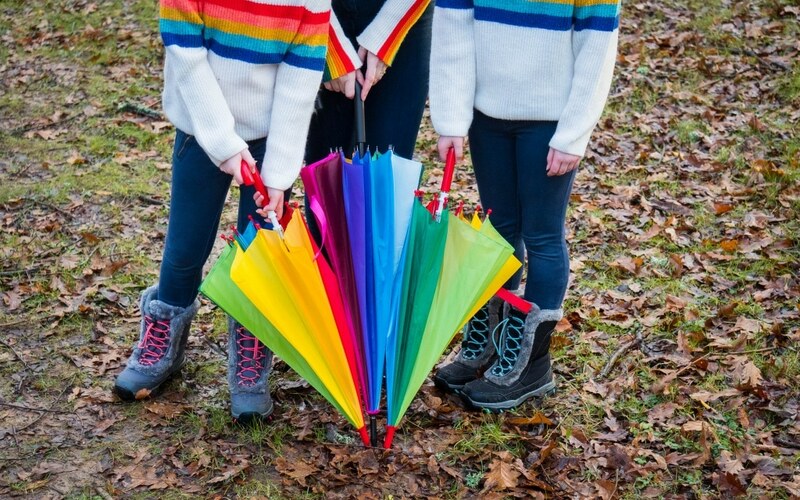 The kids rainbow umbrella is my favorite! I love the flamingo one and the children’s unicorns. There are quite a few that would be fun to carry around. I love the rainbow ones too, they’re such a classic! Love the watercolour floral ladies automatic compact brolly, gorgeous design. LOVE LOVE LOVE The Neptune Solar System Umbrella! I like the turquoise pagoda style umbrella. My fave one is the SEAGULL PRINT MINI COMPACT UMBRELLA . THE LADIES WIND RESISTANT ROSE GARDEN FLORALS LADIES AUTOMATIC COMPACT UMBRELLA (33152). MY FAVOURITE IS THE WIND RESISTANT BLACK GENTLEMENS WALKING UMBRELLA . Full Iridescent Dome umbrella! Love it. I love the scottie dog umbrella its lovely. 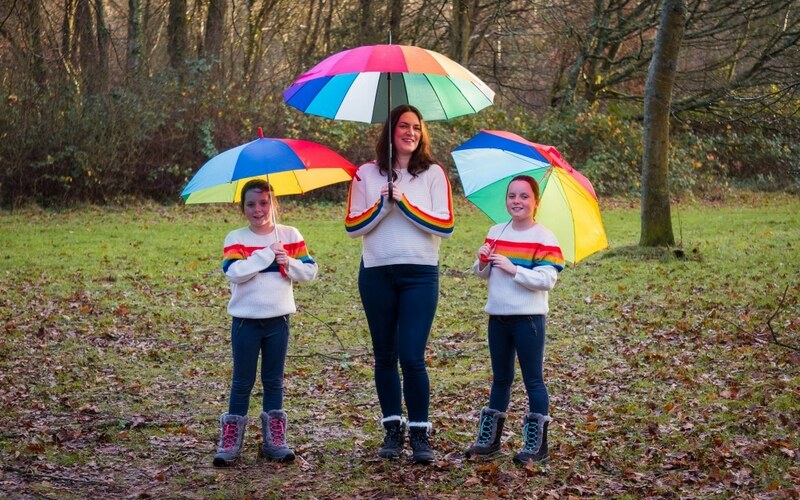 I don’t know what I love more – the umbrellas or the jumpers! They would definitely brighten up a rainy day. Thanks! I loved those jumpers too, SO snuggly and warm! The umbrellas kept us very dry this weekend! Wow they have some lovely umbrella to choose from, I really like the BLUE WOODEN DUCK HEAD HANDLE LADIES COMPACT UMBRELLA, thanks. My favourite umbrella is the windproof blue paisley print compact. I really like the Wind Resistant Blue Botanic Floral Ladies Automatic Compact Umbrella. the vintage birds are cute! I think the wind resistant garden florals umbrella is really pretty! 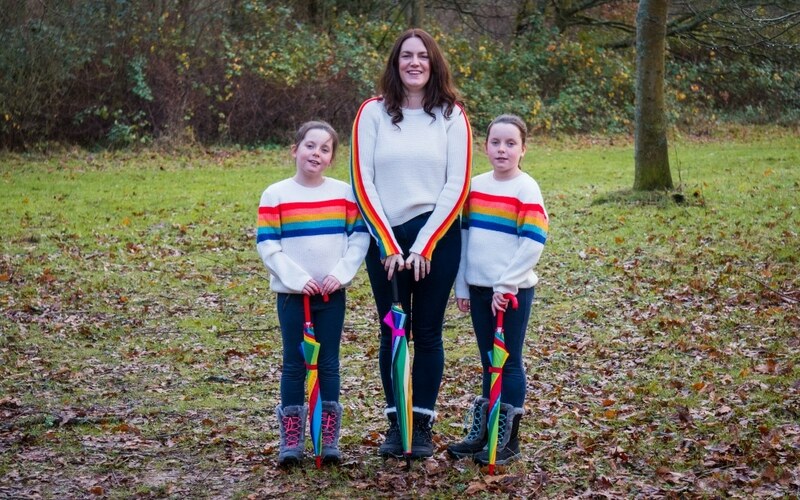 I would love 2 of the children walking umbrellas, for my 2 girls. Love the big mummy sized one you have too steph! Love the pastel pink dome umbrella 18006 – so cute! 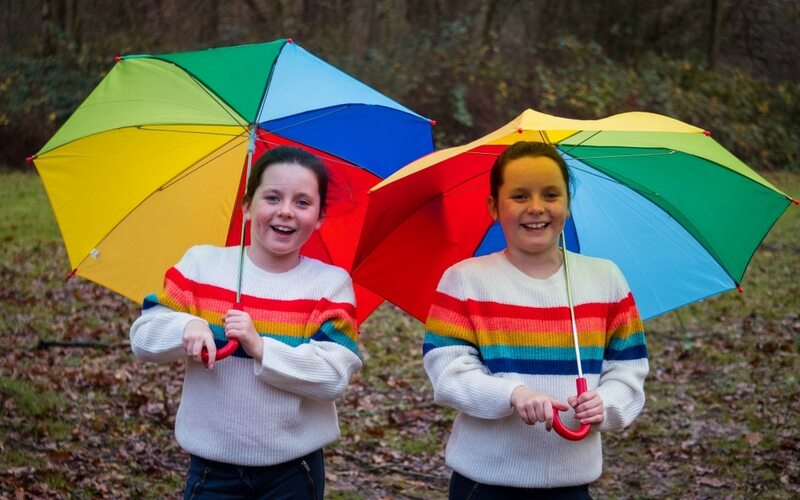 I also love your pictures- the umbrellas look fantastic with the matching jumpers. Such gorgeous umbrellas off to enter now I would love the full iridescent dome! I really like the child’s handprint umbrella. My daughter is a big fan of anything with rainbow patterns on so she would love these. I like that they do matching children’s versions. I LOVE the look of these umbrellas. Especially the adult one. You definitely will stand out and brighten a gloomy day with that up lol. If I had to choose one I’d go for either of the iridescent umbrellas on the website! Not going to miss us are you! Thanks, nice bit of colour! Oh, I love the MILKY WAY SOLAR SYSTEM UMBRELLA! the colours are just amazing, and I would so stand out in a crowd!! The peeking black cat dome umbrella. It’ll go with anything, dome umbrellas tend to be less likely to blow inside out and be ruined (which generally happens in less than 10 minutes when I try carrying a normal umbrella) and I’m a cat person. I love the Colourful Scottie Dog Transparent Dome. I love the full iridescent dome – very pretty. The FULL IRIDESCENT DOME (18004) is particularly appealing but so are quite a few others. I love the WIND RESISTANT GARDEN FLORALS LADIES AUTOMATIC COMPACT UMBRELLA (33152)!